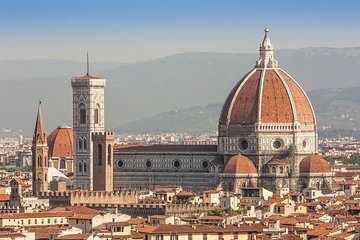 Drawing visitors from across the world, UNESCO–listed Florence ranks among Italy’s most popular must-see cities—but the crowds can make exploring a challenge. During this tour, stroll through the streets and squares of Florence in the early-evening calm with your guide. As dusk slowly descends over the city, discover top sites of interest including 13th-century Florence Cathedral alongside lesser-known gems such as Santa Felicità church.